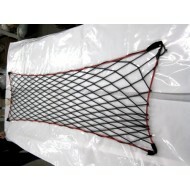 Luggage nets are made from elasticated and non-elasticated cargo nets and are designed to attach to the boot tie down hooks in most modern cars, campervans, emergency vehicles, buses, coaches, trucks, vans and trailers. They can also be used on kayaks, aircrafts and trains. 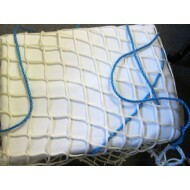 These nets are also suitable for use in other parts of the vehicle such as roof racks and on shelving. 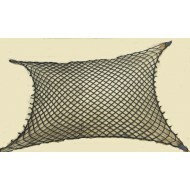 This multi-purpose net is ideal for securely stowing luggage, bags and other cargo such as children’s toys, shopping, footwear, pet accessories, personal items and lightweight commercial cargo. 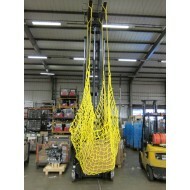 When used correctly, the net keeps the items contained whilst the vehicle is in transit and keeps the items tidy and easy to access once the vehicle has come to a stop. 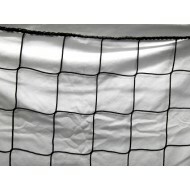 There are a range of options to suit various requirements and these nets are available in a range of sizes, with or without a frame, depending on the vehicle and the storage requirements. There are various methods available for fixing the nets to ensure they are secure and easy to use. 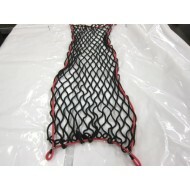 Made with 14mm woven Polypropylene Rope with a 100mm Mesh, this Hoist/Lifting Net is one of the stro.. 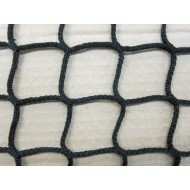 Heavy Duty Brick netting is used extensively within the building, construction, industrial and haula..